Infidelix – Busk Life – Album Review | The Ark of Music – The best music in the world…you never knew existed. 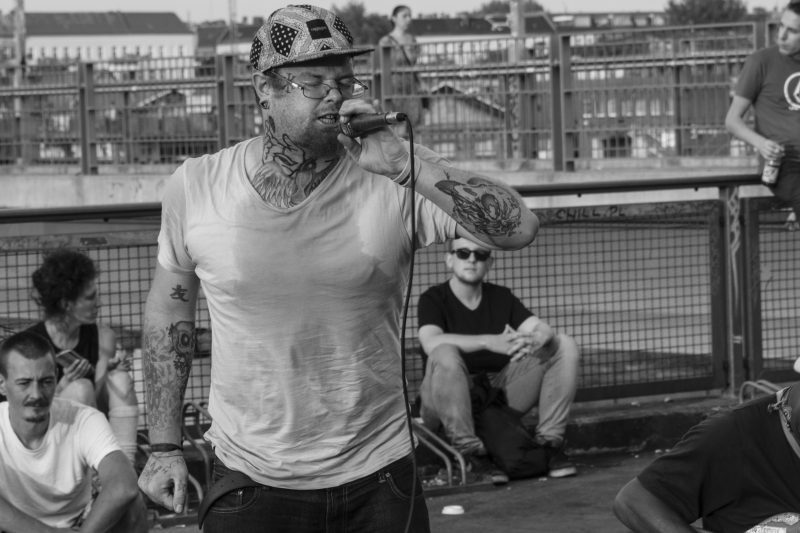 As the legend goes, several years back, Denton, TX native, Infidelix (aka, Bryan Rodecker), left everything he knew behind and flew to Europe with nothing more than $100 in his pocket and a dream to make it in hip-hop. Bouncing around to Spain, Scotland, Ireland, Amsterdam, and Berlin, before long, any plans he’d had fell through. He was broke and—for all intents and purposes—homeless. Life pushed and squeezed. He had a choice to fold and flee, or, square-up and lean into it. He stood firm. The result? A man that has now been voted best street rapper in Europe was born. And, those years of performing for pocket-change—so that he could eat, so that he could survive—have begun to pay off. Last year, the impromptu meeting of Infidelix and Barcelona singer Elland-M (aka, Silvia Rodriguez) in a Berlin subway station resulted in one of the most authentic and inspiring pieces of live, street performance footage ever caught on tape. (Check out our review of that performance.) That video went viral, racing across the planet, attracting attention from blogs, musicians, and fans worldwide. 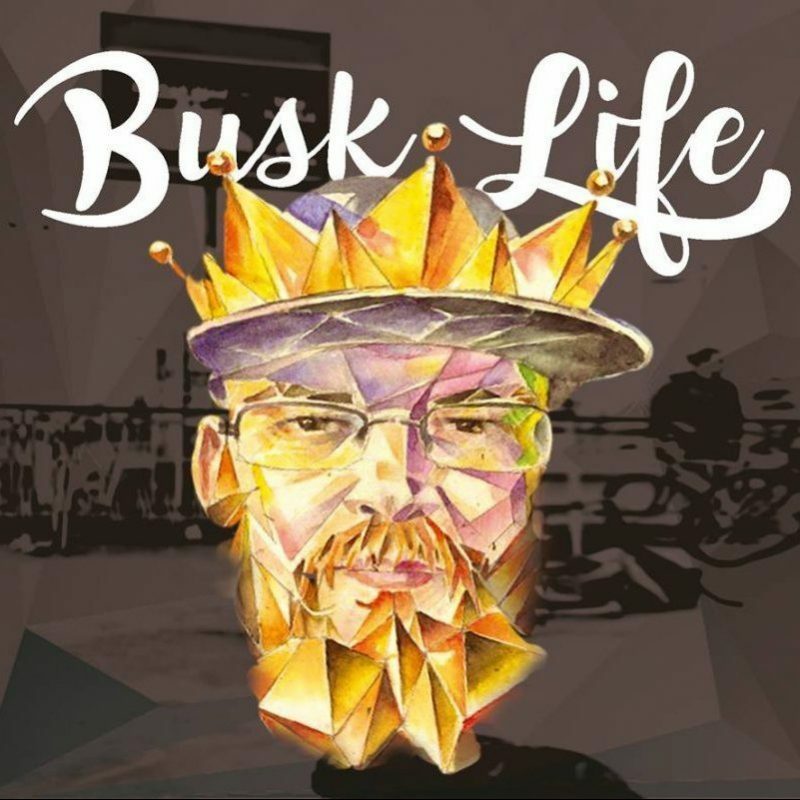 Keeping that hard-earned indie-hip-hop momentum going, Infidelix has released his latest album, Busk Life, a grimy, non-softened collection of street music from a man and a crew on the verge. Speaking of grimy, Gold is Infidelix’s anthemic dedication to his struggle—and what I can only imagine are the grimiest days of his life. I get the feeling that this song is a hopeful—perhaps even slightly desperate—prediction of his success. Be it before you see it. Fake it ’till you make it. Whatever it takes to get by. With bold, real-life lyrics, and production that sounds like something off of 2Pac’s, Strictly For My N.I.G.G.A.Z., this cut is as real as it gets. Fiction‘s fantasy-esque vibe has a hazy, dream-like mood. As the kick thumps, I swear I can smell the smoke in the air. This is quintessential chill-hop. When listening to or watching Infidelix perform, one gets the feeling that he has risked far more than most. Thus, at its core, Busk Life is the untamed, emotional journey of a man who is learning what it means to risk—more and more every day. Each track is sovereign unto itself, as if Infidelix plucked out a tiny piece of his journey and placed it under a microscope in order to write each song. Infidelix’s honest ramblings, fantasies, and experiences are at times—flamboyant and infectiously arrogant, and at other times—humble and connectingly real. Arguably a blueprint for indie hip-hop, it is clear that these dynamics are simply the sonic manifestations of one seriously blue-collar artist. Early Macklemore (pre-Ryan Lewis), with dashes of the production stylings of Mike Jones and 90’s Death Row Records. BELOW, you can listen to music from Infidelix’s album, Busk Life, check out our interview with him, connect with his website and social media platforms, watch his music video, check out his live show/tour schedule, and find his booking & contact information. Please support Infidelix by visiting him online, and playing, downloading, and/or purchasing his music. And, as always, thank you for supporting real music!